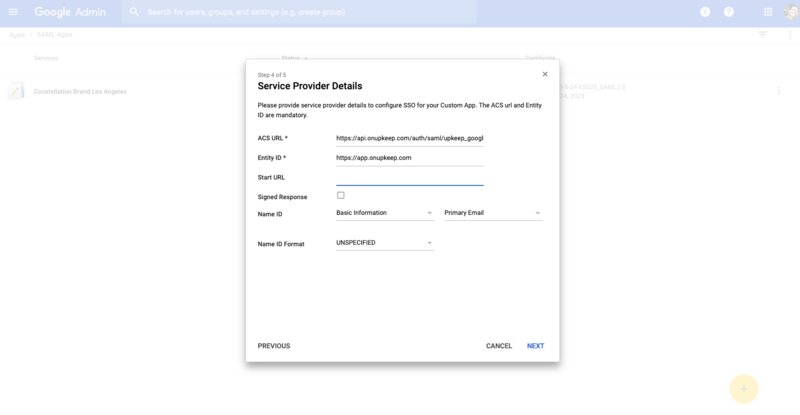 UpKeep now integrates with Single Sign On (SSO) Providers! 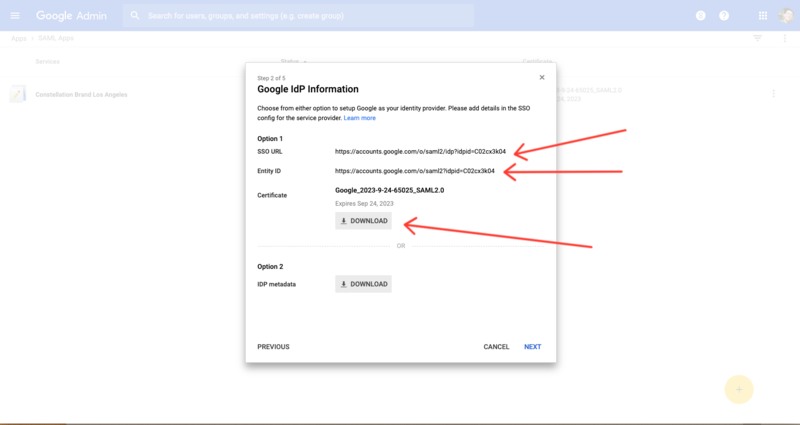 Currently this feature is available on our Business Plus and Enterprise Plans. Step 5. 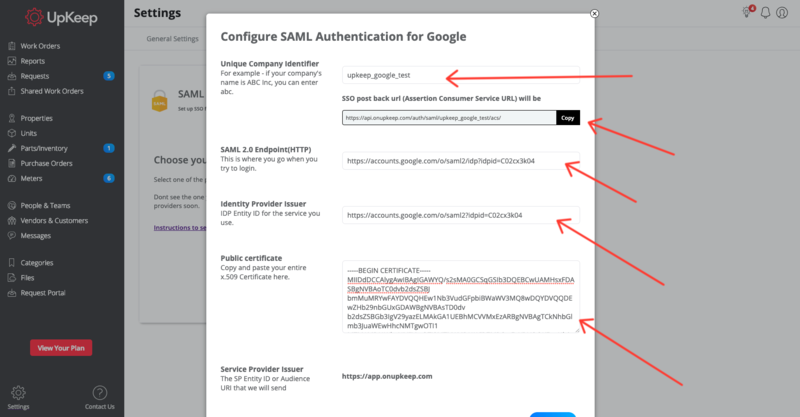 Re-enter the ACS URL and Entity ID back into your custom SAML Application from the Google admin Dashboard. 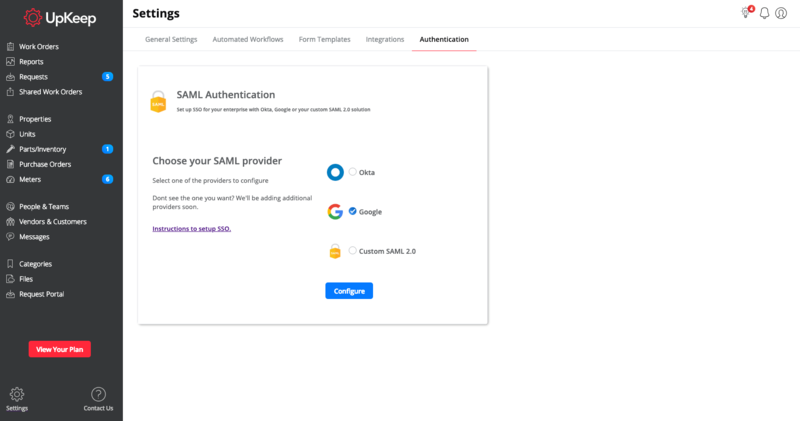 After you’ve hit next and finish, you’re all done with the setup for using SAML via Google! Step 6. 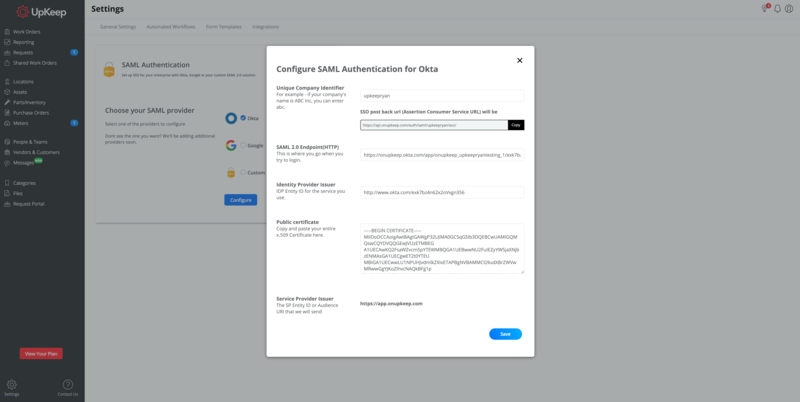 After you assign users to this application, you’ll use the “Login with SSO” option on the login page!